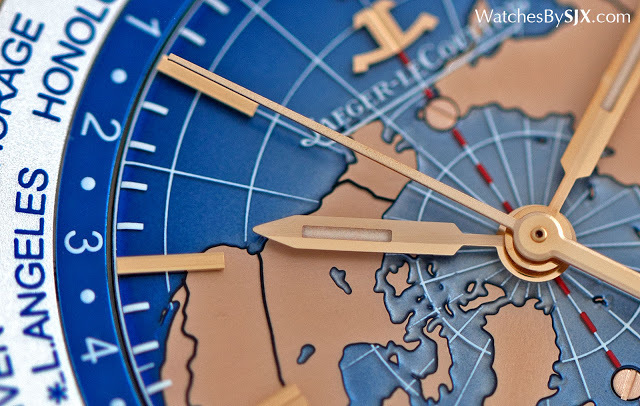 Originally a wristwatch made for explorers and scientist in the 1950s, the Jaeger-LeCoultre Geophysic was reissued last year as a limited edition. Now the name has been applied to a new line of watches conceived with the same philosophy of functionality and vintage-inspired styling. 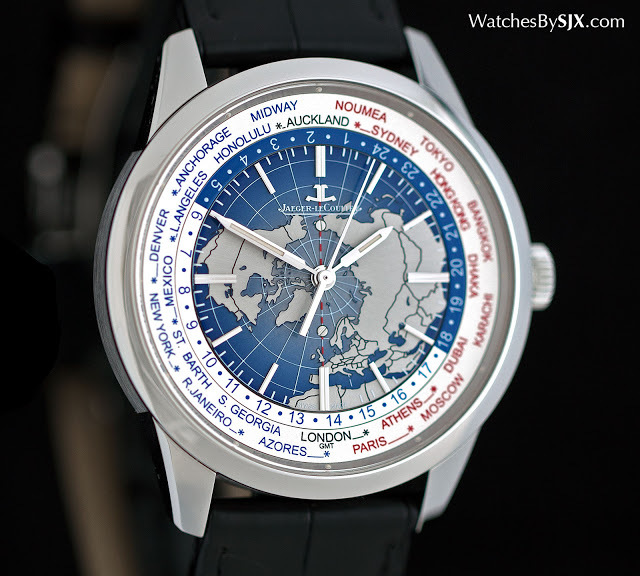 The Geophysic Universal Time is the most elaborate of the Geophysic collection, featuring a simplified world time function and deadbeat seconds. The entry-level Geophysic is the True Second wristwatch equipped with the calibre 770 that shows the time and date, along with a deadbeat seconds that ticks along at one second intervals, just like a quartz watch (remember to check out our detailed review of it). Powered by calibre 772, the Geophysic Universal Time has the addition of an easy to use world time function. A traveller has to first set the time, along with the 24-hour and cities discs, so the time in every time zone can be read via the disc. 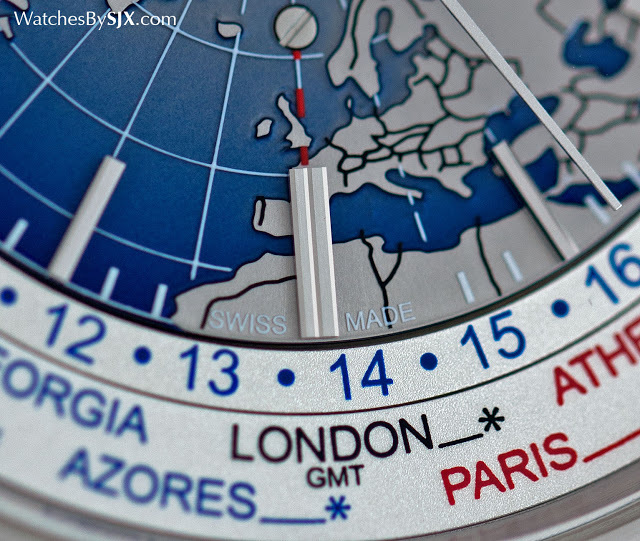 Separately the hour hand can be set to local time, both forwards or backwards in one hour increments via the crown. In short, the hour hand can be set each time the wearer’s time zone changes, without affecting the synchronised cities and 24-hour discs. And the hour hand can be set independently of the minute hand, so time synchronisation is not affected when crossing time zones. 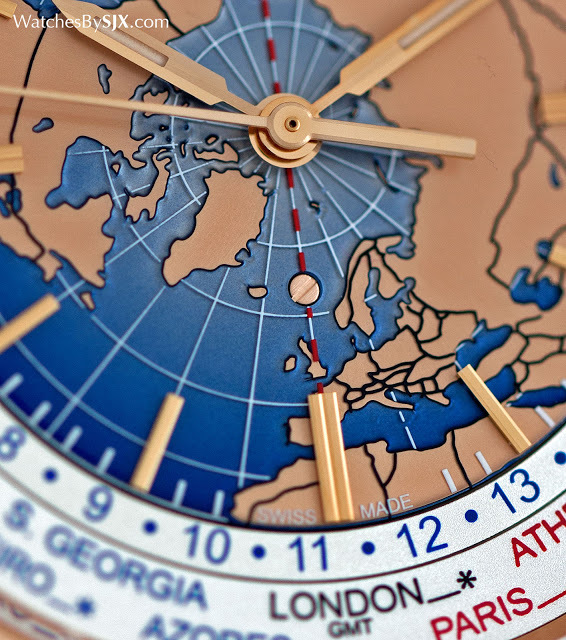 While the world time function has been simplified, the dial is elaborate and attractive. Depicting a stylised map of the world, it’s lacquered blue for the oceans, with the continents in gilded relief. 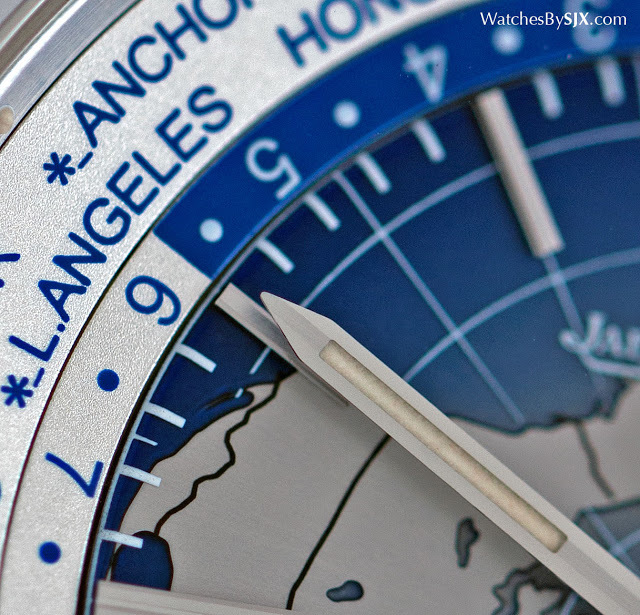 Up close all the elements of the dial are neatly executed and finished, with the applied hour markers and logo deserving note. Though simple in form, the hour markers are faceted on their edges, as are the hands. This gives the dial a sense of quality that flat markers and hands cannot achieve. 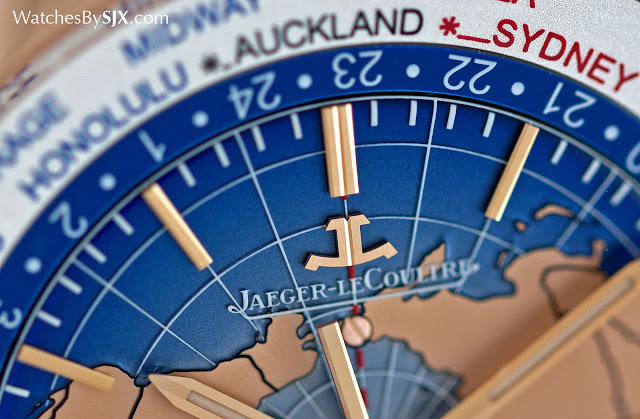 Similarly the Jaeger-LeCoultre logo at 12 o’clock is applied, adding to the sense of depth on the world map dial. 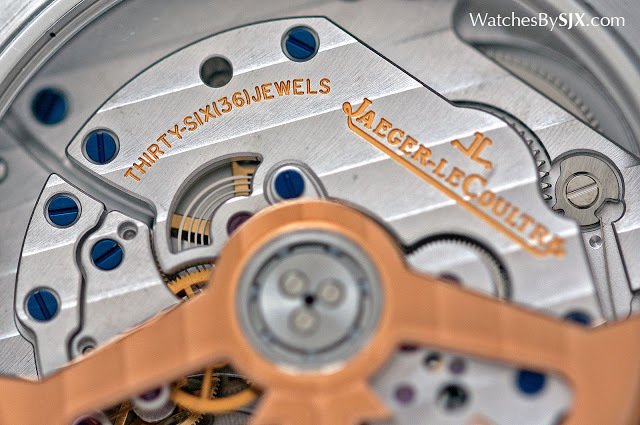 From the back the view of the movement is typical of Jaeger-LeCoultre. The movement is decorated attractively, albeit by machine. All the bridges are finished with Geneva stripes, as is the solid gold rotor, though the stripes on the rotor are more mechanical in appearance, with harsh, well defined graining. Just below the rotor the bridge for the deadbeat seconds mechanism is visible, with the tiny spring that gives the seconds hand its one-second tick visible through an aperture. 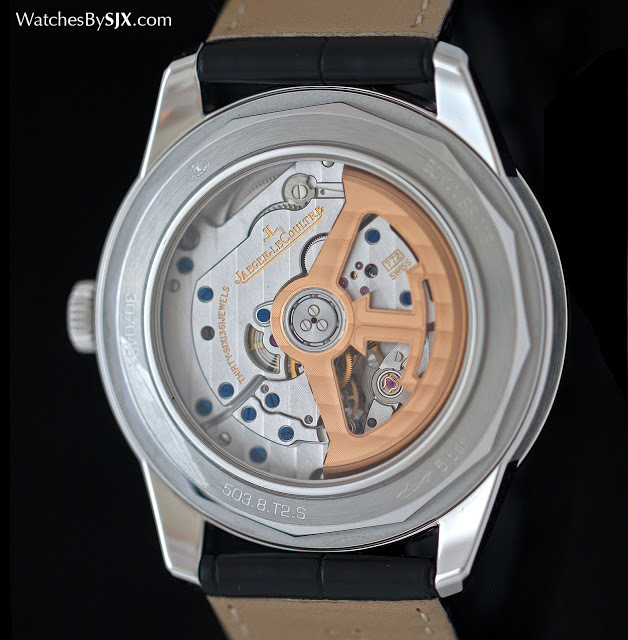 Because the deadbeat seconds is an addition on top of the movement, the watch is somewhat thick, at 11.84 mm high. Like the movement in the basic Geophysic True Second, the calibre 772 inside the Universal Time is fitted with the Gyrolab balance wheel. Shaped like the Jaeger-LeCoultre logo, the Gyrolab has adjustable weights for regulation, as well as a profile that gives it less air friction when running. The case is 41.6 mm in diameter, and available in pink gold or stainless steel. 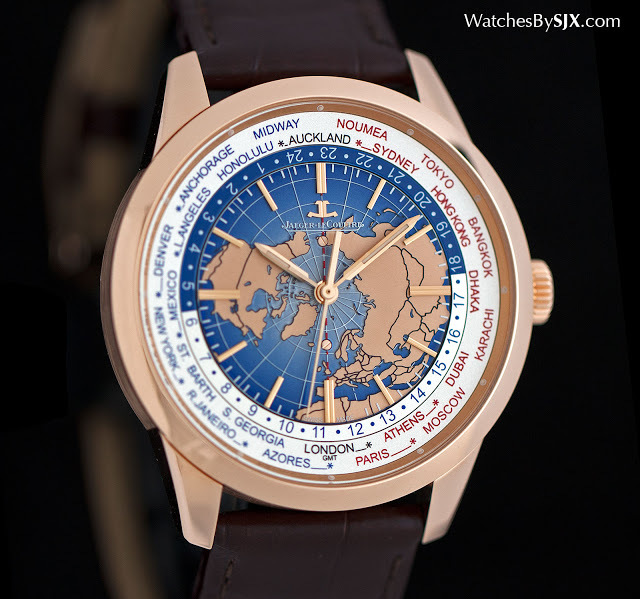 The Geophysic Universal Time will cost US$25,000 in pink gold and US$15,000 in steel, before taxes. In Singapore, the prices are S$36,900 and S$21,900 respectively, including tax.